Krokofant has come a long way since they released their eponymous debut album on Rune Grammofon, in February 2014. Back then, Krokofant were regarded as one of the rising stars of the Norwegian music scene. Already great things were forecast for Krokofant. They were being described by critics as one of the most exciting and innovative Norwegian groups. This was high praise indeed, as Norway had a thriving, vibrant and successful music scene. However, the words of the critics proved to be prescient. 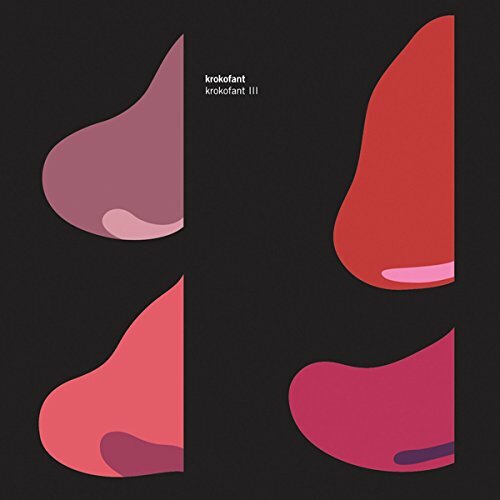 Three years after Krokofant released their eponymous debut album, they recently returned with their eagerly anticipated third album, Krokofant III. It was released on Rune Grammofon, and features Krokofant’s groundbreaking, genre-melting sound. This has been honed over a five year period. All Krokofant’s hard work, dedication and persistence has paid off, and nowadays, they’re one of the leading lights of the Norwegian music scene. However, the Krokofant story began in 2012. Originally, Krofofant were just a duo, consisting of guitarist Tom Hasslan and drummer Axel Skalstad. Then in 2012, Tom and Alex met saxophonist Jørgen Mathisen, in a guitar shop in Kongsberg, a town in Southern Norway which is famous for its annual jazz festival. Straight away, Tom, Alex and Jørgen hit it off. When Tom, Alex and Jørgen began playing together, it quickly became apparent that Jorgen was the missing piece in the musical jigsaw. No wonder; Jorgen was already an experienced musician. He had already played in groups like Shagma, The Core and Zanussi Five. Before long, Krofofant were a trio. Soon, the new lineup of Krokofant became part of an innovative musical movement that was sweeping the Norway. Krokofant became one of the flag bearers for this new exciting and innovative musical movement. Their music epitomises what this new Nordic Wave movement is about. Part of Krokofant’s music is improvisational. They fuse improv with rock beats and driving rhythms. Essentially, it’s a marriage of avant rock, free jazz, fusion and progressive rock. That was a good description of Krokofant’s live sound as it began to take shape. Six songs were recorded at Engfelt and Forsgren Studio in Oslo. By then, saxophonist Jørgen Mathisen had been officially confirmed as a member of Krokofant. So it was with a spring in their step, that the three members of Krokofant went into the studio to recorded their eponymous debut album. It was released in February 2014, to widespread critical acclaim. 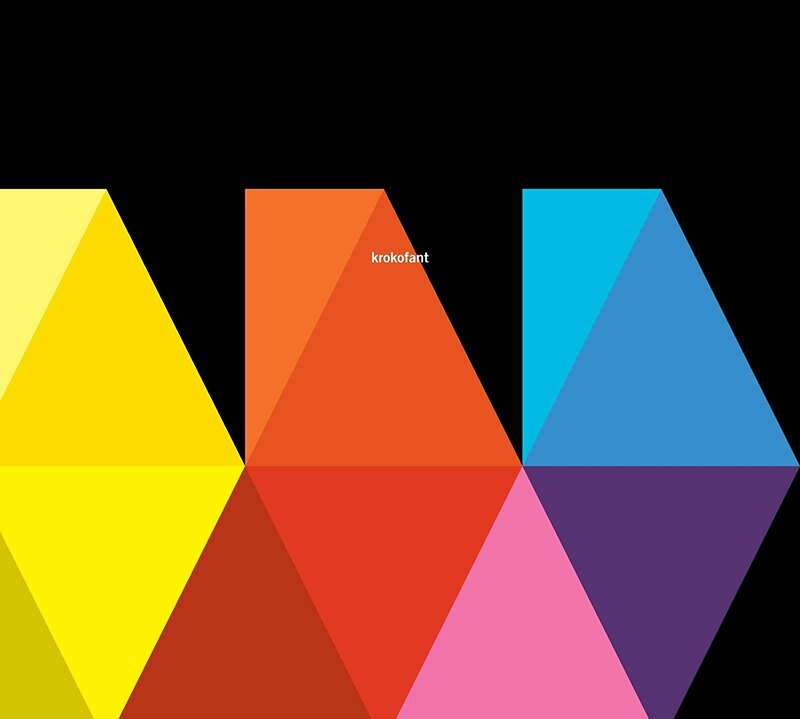 When critics heard Krokofant, they hailed Krokofant as a groundbreaking album, from one of the most exciting and innovative of the new Norwegian bands. Krokofant’s music was described as a marriage of the Joycean progressive rock odysseys of King Crimson and Henry Cow with Peter Brötzmann’s free jazz ensembles. The influence of early seventies jazz-rock pioneers like The Mahavishnu Orchestra, Terje Rypdal and Ray Russell also shawn through on Krokofant. It was a unique and captivating fusion of raw but refined power. However, Krokofant’s playing was disciplined, as they combine energy and enthusiasm. Seamlessly, they had fused disparate musical genres and influences on Krokofant which was released to critical acclaim. Given the plaudits Krokofant had received, it was no surprise that upon its release that the album sold well. Soon, word was out, and across Europe and further afield, Krokofant’s star was in the ascendancy. As the year drew to a close, critics began drawing up their best of 2014 lists. When they were published, Krokofant found its way into many lists. Given this was only Krokofant’s debut album, this was a remarkable achievement. Nearly two years after the release of their eponymous debut album, Krokofant returned with their eagerly awaited sophomore album Krokofant II. Critics wondered whether Krokofant II would match the quality of Krokofant’s eponymous debut album? Krokofant returned with another album of ambitious, genre-melting music. They continued to combine avant rock with free jazz, fusion and progressive rock. Meanwhile, a myriad of influences shown through on Krokofant II. This included many of the artists that had influence Krokofant’s eponymous debut album. Still, King Crimson, Henry Cow and Peter Brötzmann’s free jazz ensembles were influencing Krokofant. So were The Mahavishnu Orchestra, Terje Rypdal and Ray Russell. This myriad of musical genres and influences were combined by Krokofant to make a captivating musical potpourri on Krokofant II. Critics heralded the album as their finest hour. Not only had Krokofant matched the quality of their eponymous debut album, but they managed to surpass it. This was a remarkable achievement. However, Krokofant II also set the bar high for future albums. Future albums would all be compared to Krokofant II. After the critical acclaim and commercial success of Krokofant II, the three members of Krokofant’s thoughts turned to their third album. They were keen to build on the momentum created by their first two albums. Soon, work began on what became Krokofant III. A total of five tracks were penned by the three members of Krokofant. They were Tommy Synth, Clazz, Juice, Double Dad and Wrong Turn. These tracks would eventually become Krokofant III. Before that, the album had to be recorded. This time around, Krokofant decided to record Krokofant III at Studio Paradiso. It was a well equipped analogue studio, that was full of vintage equipment. This Krokofant knew would be perfect to capture their old school sound. The man entrusted to do so, was recordist Christian Engfelt. He had recorded Krokofant II, and returned for Krokofant III. Just like on their two previous albums, Axel Skalstad drums would provide the heartbeat to Krokofant’s old school sound. He was joined by guitarist Tom Hasslan and Jørgen Mathisen who switched between saxophone and synths. The three members of Krokofant then began recording what became Krokofant III with recordist Christian Engfelt. Gradually, the album started to take shape. Once the album was completed, Christian Engfelt began mixing Krokofant III. Now, all that was left, was for Håkan Åkesson to master Krokofant III, and the album would be ready for release. Just like Krokofant II, there was a sense of anticipation as the release of Krokofant III drew nearer. Critics wondered whether Krokofant III would come close to matching the quality of what Krokofant II? It was quite rightly regarded as Krokofant’s finest hour, and it wasn’t going to be easy to surpass such a critically acclaimed album. That would take a very special album, like Krokofant III. Tommy Synth bursts into life, opening Krokofant III. Bursts of space invader synths, thunderous, rumbling drums and a machine gun guitar combine. They power the rocky, dramatic arrangement along. Soon, a blistering alto saxophone is added and soars above the arrangement, heading in the direction of free jazz. Meanwhile, Axel powers his way round the drum kit, while Tom unleashes a scorching, searing guitar. At the midway point, the arrangement is stripped bare, and all that remains are the drums. Then as the arrangement rebuilds, a guitar and probing bass combine. Tom then kicks loose, unleashing a blistering, fleet fingered guitar solo before the saxophone returns and Tommy Synth reaches a crescendo. In doing so, it sets the bar high for the rest of Krokofant III. As Clazz unfolds, Krokofant play as one. Drums provide a degree of urgency and drama while a braying saxophone is joined by a scorching guitar. It unleashes machine gun riffs, before Tom’s fingers fly up and down the fretboard. Already, Krokofant fuse hard rock, jazz, fusion and progressive rock. Later, a buzzing synth is added, before Tom unleashes a guitar solo that sounds as if belongs on a seventies classic rock album. Axel then plays with a ferocity as he powers his way around his drum kit. Meanwhile, Tom plays with speed and precision, his guitar rising high above the arrangement as he unleashes a lengthy, solo. A growling synth and then a melodic, braying and rasping saxophone play their part in a genre-melting jam that features Krokafant at their inventive best. Straight away, Krokofant kick loose on Juice. A blazing saxophone joins a scorching, searing guitar and thunderous drums. Axel’s drums powers the soundscape along while the saxophone is played with a similar power. Mostly, it flows and snakes across the soundscape. Sometimes, sharp bursts add an element of drama to this genre-melting soundscape. Tom’s guitar matches the saxophone every step of the way. At one point, they seem to be feeding off each. Axel even gets in on the act, powering his way round the kit rapping urgently and sharply on the drums. Then the saxophone breaks free, climbing high above the arrangement. It brays, rasps and quivers while Axel’s ferocious drums and Tom’s blistering, machine guitar provide an accompaniment. By now, Krokofant are in full flight as they head for home. It’s been an impressive sound as musical genres and influence melt into one. Seamlessly, Krokofant have fused classic rock, free jazz, fusion and progressive rock over seven breathtaking minutes. Double Dad bursts into life.Axel pounds his drums, while an effects laden guitars join with a blazing saxophone. The arrangement is then stripped bare, before Krokofant throw a curveball. An accordion adds a mesmeric hypnotic backdrop before a ferocious rocky guitar enters and cuts loose. Soon, a dark, buzzing synth joins with the ominous rocky guitar. Meanwhile, the bass synth is played slowly and deliberately while Tom unleashes one of his finest solos. He adds effects as his fingers fly up and down the fretboard. Still, the bass synth lumbers along, as Axel pounds his drums. With just a minute to go, the accordion returns, and plays brief solo. Having enjoyed its moment in the sun, Krokofant unite before the soundscape reaches a memorable crescendo. Wrong Turn closes Krokofant III. The growling saxophone joins with the scorching, rocky guitar as drums power the soundscape along. Before long, a braying, blazing saxophone takes centre-stage and is joined by the guitar which grows in power. That’s until the futuristic synth is added. It’s joined by a wash of feedback and shimmering guitar. This takes the soundscape in a new direction, before Tom picks out notes on his guitar and adds effects. Meanwhile, the otherworldly synth has awoken from its slumber and meanders across the soundscape. Then Tom unleashes a searing, blistering guitar solo that’s played with speed and precision. Later, a howling sound is emitted from the soundscape, signalling it time for Krokofant to return to their earlier sound. Thunderous drums, blistering guitar and braying, blazing saxophone play with an urgency as this epic soundscape reaches a crescendo. Krokofant have kept the best until last. It was never going to be easy for Krokofant to surpass the quality of their previous album Krokofant II. However, Krokofant are no ordinary band. They’re one of the leading lights of the Norwegian music scene, and have returned with the first album of their five year career. Krokofant III finds Krokofant reaching new heights. To do that, Krokofant combined an array of musical genres and influences. This includes avant rock, free jazz, fusion and rock, to avant-garde, progressive rock and post rock. There’s even hints of experimental music and psychedelia as Krokofant weave their unique musical tapestry. Within this musical tapestry, the influence of an eclectic selection of artists can be heard. This includes the artists who have always influenced Krokofant. Among them, are King Crimson, Henry Cow, The Mahavishnu Orchestra, Terje Rypdal, Ray Russell and Peter Brötzmann. Two other artists that seem to have influenced Krokofant on Krokofant III are Van Der Graaf Generator and John Zorn. However, many other artists seem to have influenced Krokofant, including Jimi Hendriix, Led Zeppelin and John Coltrane. Still it seems that Both Jimmy Page and Jimi Hendrix have inspired the virtuoso guitarist Tom Hasslan. John Bonham and The Who’s Keith Moon have obviously influenced Krokofant’s prodigiously talented, twenty-three year old drummer, Axel Skalstad. Krokofant’s saxophonist Jørgen Mathisen seems to have been influenced by two of the biggest names in jazz. Sometimes replicates Pharaoh Sanders’ sheets of sound, while other times, he seems to have been inspired by John Coltrane’s Impulse period. These influences have helped mould the members of Krokofant into one of Norway’s top bands. No longer are Krokofant regarded as one of the rising stars of the Norwegian music scene. They’re now well on their way to becoming one of the biggest names in Norwegian music. Krokofant’s music is also popular across Europe and much further afield. It looks as if Krokofant are well on their way to becoming one of Norwegian music’s most successful exports. That is no surprise. 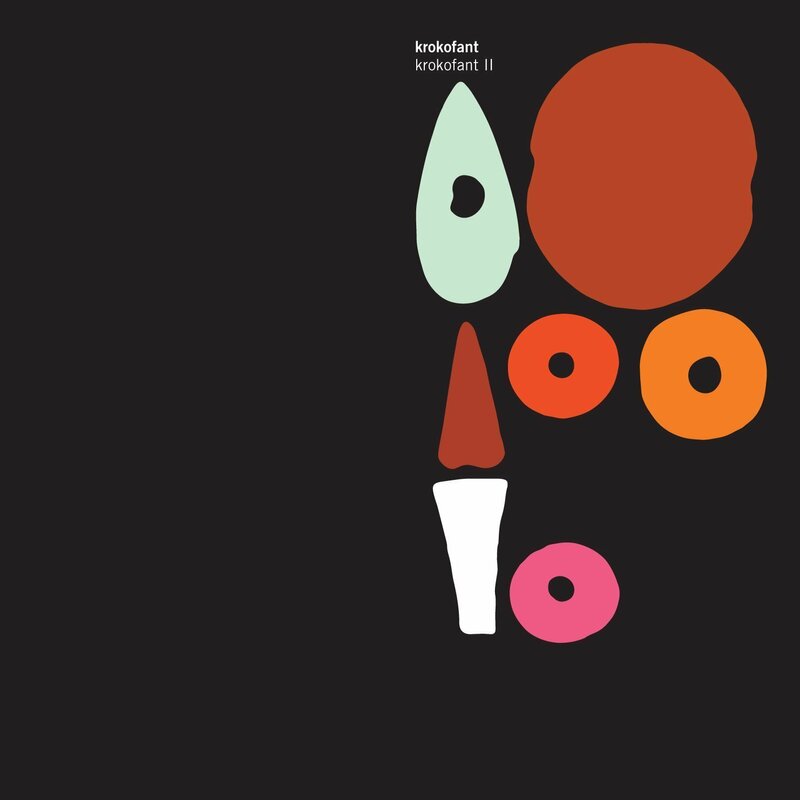 as Krokofant III features ambitious, inventive and innovative music. Continually, Krokofant push musical boundaries, and constantly seek to reinvent themselves and their music. Not many bands modern bands are willing to do that. However, have Krokofant continue to do so. This becomes apparent throughout Krokofant III, as Krofofant take the listener on a genre-melting musical journey. Each and every song is different and full of subtleties and nuances. Sometimes, Krokofant throw a curveball, and the music heads in a different direction. Suddenly, the listener hears a new side to Krokofant. Especially, when the synths are introduced and replace the saxophone. This shows another side to Krokofant’s music. That’s what you expect from three musical pioneers. That’s the perfect way to describe Krokofant. They’ve released a trio a groundbreaking, genre-melting albums over the last three years. However, Krokofant’s finest album is Krokofant III, a magnificent musical Magnus Opus, which was recently released by Rune Grammofon. What a powerhouse band! I bought the first two albums and will certainly get #3! The musicianship is stellar—and these are such young artists! The future is Krokofant. Krokofant are a fantastic band and I can thoroughly recommend Krokofant 3. I hope you enjoy Krokofant 3. It’s their best album so far. Another great Norwegian band worth checking out are Black Moon Circle. I’ve reviewed all their albums. They’re a big favourite of mine.